The Kelvin Probe is an extremely sensitive analytical tool measuring changes in contact potential difference (cpd) between a reference material and a sample to less than 0.001 V.
The essence of the cpd is the difference in fermi-levels (in the simple case of a metal this is the energy of the most energetic electron within the outer electron band with respect to the vacuum level, Evac). If we assume that the reference material fermi-level is unchanged during the measurement (in practical situations this may have to be determined via control experiments), then the changes in contact potential difference of the Kelvin 'Junction' can be wholly ascribed to changes occurring at the sample surface. Depending upon the direction of your study you may find this term expressed in different ways: contact potential, fermi-level, work function, surface potential, corrosion potential, surface dipole, etc. I would be delighted to learn of other expression's to extend this list. 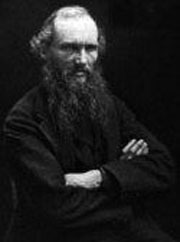 The Kelvin method was first postulated by the renowned scottish scientist Sir William Thomson, later to be known as Lord Kelvin, in 1898 when he presented a public lecture to the British Institution on the 'contact electrification of metals'. Over a century later the method he proposed is at the forefront of materials research and start-of-the-art equipment development. In essence the method is simplicity itself: take two conducting materials, allow them to come into electrical contact, then sense any flow of charge from one material to the other. Kelvin used two large metal plates and a gold leaf electroscope to demonstrate this surface charging effect: he showed that a potential is generated between the surfaces of two conductors when they are brought into electrical contact. This experiment forms the basis of the Kelvin Probe which has been developed into a highly sensitive tool for analysing the surface properties of materials. The range of materials it can be applied too is constantly increasing: metals, alloys, semiconductors and even insulators, yes insulators!